Builders, contractors, and property owners are fast realizing the benefits of polystyrene Rendering Sydney in construction. While this material has long been used in commercial and public constructions like roads and buildings, it has recently started to become more popular in the residential market as well. Sydney Polystyrene rendering, in particular, is in great demand for the number benefits it offers. At All Sydney Rendering, we understand how polystyrene rendering Sydney works and know how to install it securely. Our experts have taken time to understand the rendering process and understand how polystyrene surfaces work. We’ll make sure you don’t need to worry about the underlying material being damaged by the render. What Do You Need to Know Polystyrene Rendering Sydney and Wall Cladding? Easy installation compared to traditional building materials. Lightweight and suitable for upper-level floors. You don’t need a special framework to act as support. Extruded polystyrene insulation will protect your interiors from outdoor weather conditions and other such factors. Better sound isolation so the noise from outdoor environment doesn’t enter the indoor environment. The polystyrene boards have an external mesh face, which provides the ideal surface for rendering down the line. These boards can be fixed to a specifically designed wall frame with galvanized screws with incorporate spreader washers that are made for this installation. Once all foam blocks are placed, the joints between them are sealed with the help of polyurethane foam. We will also install a mesh jointing tape over the surface of the foam in order to promote adherence. In order to keep the boards in place and ensure they don’t lose form, all external corners are reinforced with specially designed metal strips. The first skim layer of the acrylic render is applied along with a fiberglass mesh. This keeps the render in place and provides additional protection to the foam blocks. This is followed by another thin layer of render that’s applied evenly to the entire surface. We can then apply any texture coat or other such finishes to the surface for decorative purposes before following it up with an armor coat for superior weather protection. 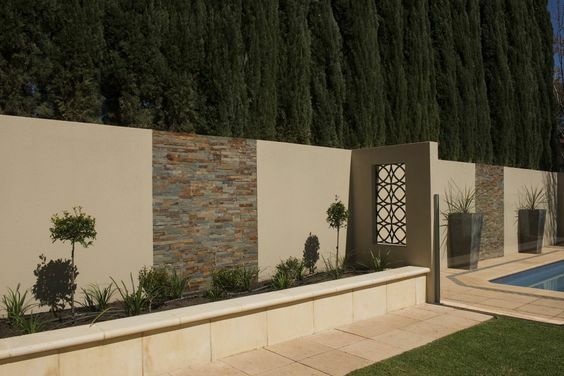 The prices of Sydney polystyrene rendering walls are similar to the cost of acrylic rendering. We can’t use the traditional rendering materials without the addition of polymer or acrylic because the rendering mix simply won’t adhere to the surface. The cost will vary based on the type of finish you choose, the size of your property, the condition of the wall, etc. We can also handle polystyrene cladding installation and the cost of that will be different. Feel free to fill in the quote form on our website to get an estimated cost of the installation and rendering process. Why Choose Us For This Project? Experience – We have over 15 years of experience in this industry and have worked on multiple Sydney polystyrene wall rendering projects over the last few years. We understand the process well and will make sure the walls the properly covered and protected by the rendering so you don’t need to worry about future problems. Quotes and Budget – We offer a detailed quote and estimate after a thorough examination of your property and the scope of the project. This quote doesn’t have any hidden costs and our experts are always willing to explain the all the costs involved in detail. This helps you decide on your budget and make the required arrangements. If you want to know more about our polystyrene rendering Sydney services here at All Sydney Rendering, don’t hesitate to give us a call at 0405 320 000 or use our contact us form. We’ll be happy to answer any questions you might have.